"All decent men want to give service to humanity, only thing is they do not have information really what is that service. Hospitals, feeding the poor, Red Cross, these are service to the bodies only, not to the man. Service to humanity means jnana. By giving people knowledge, jnana, that is the highest service to humanity. So we are performing the actual welfare work of society by informing everyone through our literatures who is God, who they are, and what is the relationship. In this way everyone who hears our message gets the opportunity to fulfill his actual position as human entity and become delivered from the clutches of maya. So you may understand it that by disseminating our Krsna consciousness propaganda anywhere and everywhere, by selling books, by making publicity, newspapers, television, so many ways there are to spread Krsna consciousness information, you may know it that by utilizing our energy in this way to give everyone access to the Absolute Truth, that is the real understanding of desire to serve humanity. Understanding is one thing, and practical application of that understanding is another. But as devotees of Krsna, being engaged in the practical work of spreading Krsna consciousness, that is already the highest realization. 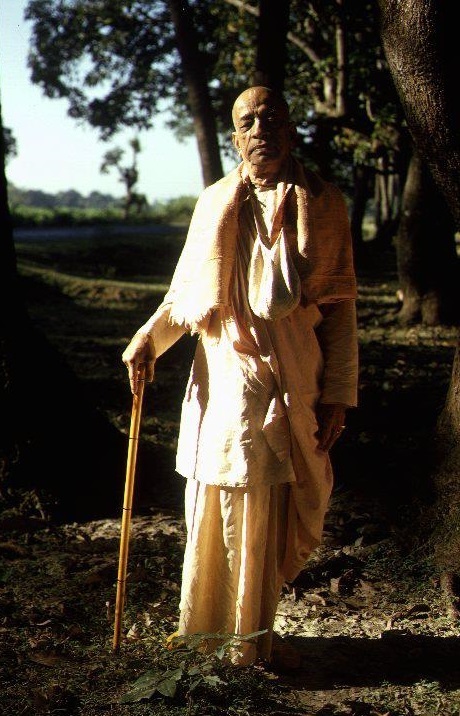 That's all right, that is our real mission, to deliver the world by preaching Krsna's message to others, but even higher realization, the highest realization, is to save oneself."